Now you have the availability of Navicat for Amazon Aurora Databases. You can now handle Amazon Aurora Databases via Navicat, the sturdiest powerful database manager, Graphical User Interface and admin tool. Amazon Aurora is a MySQL compliant, interactive database engine which interconnects the availability and speed of top notch commercial databases with easiness and cost efficiency of open source databases. Navicat Premium is one of the most prominent database management solutions for database development on all the leading platforms like Linux, Windows and MacOS. It permits you to connect to SQLite , SQL Server, Oracle, MySQL, PostgreSQL and MariaDB databases from just one app. It is basically installed on your computer and interconnects not just on-premises databases but also cloud database like Amazon Redshift, Amazon Aurora as well as Amazon RDS. Amazon eradicates the requirement of set up, operation and measure a relational database, permitting the users to concentrate on the database design and efficient management. Along with Amazon instance, Navicat gives you a top notch end to end database development experience. Manage AWS Aurora Database with Navicat on Windows as well as Mac. 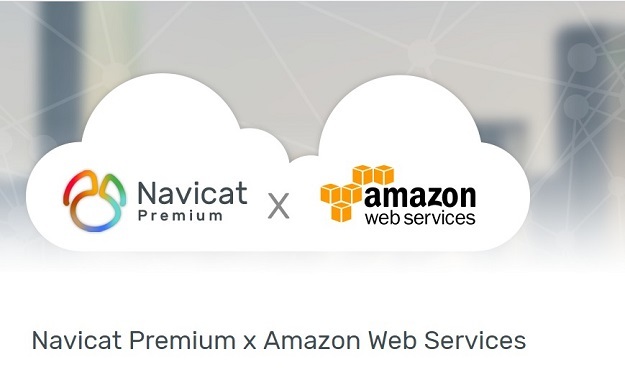 Go to Navicat Premium and Click File > New Connection > Amazon AWS and then finally Amazon Aurora. Type in a suitable name that best describes your connection in the text box of Connection Name. When you choose to Navicat Cloud feature, you can select to save the connection to My Connections or the assignments on Cloud from drop-down list of Add To. If you have chosen My Connections, then the settings are stored in the local device. Type in the endpoint details of the cluster in the Endpoint and Port columns. Navicat renders you with an interactive and powerful GUI and provides a set of full-fledged specs for Amazon database development as well as maintenance. To enhance the efficacy and productivity for your database, it's Data Transfer feature assists you to transfer the data across several DBMS – local to SQL file, local to cloud and local to local. It allows you to perform automation work at periodic intervals and send alerts mails to mentioned recipients on job completion to assure your migration is well submitted and 100% successful. Amazon Web Services renders a complete bunch of cloud based products for your developmental needs and business requirements. It provides easy access to and simple handling of the services via a communicative web based user interface. Big companies and organizations rely on Amazon AWS because of its reliability and service level registrations. With that being said, you can manage your AWS Aurora databases efficiently with navicat. It is reliable, fast, simple and convenient to handle. You will no longer need to go for anything else.